Excellent For All Life Stages. 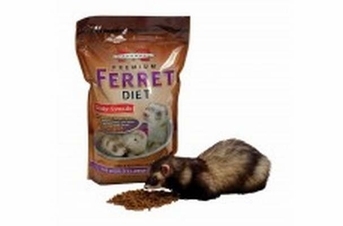 A Great Diet For Your Ferret Who Might Be Over 4 Years Old. Keep In Mind Ferrets Are Strict Carnivores and Require High Amounts Of Meat Protein (Non-Plant Based Protein). Marshall senior ferret food is 10% less in fat. Ferrets are strict carnivores and require lean meat based protein. Rich in 3 and 6 omega acids. Perfect blend of fresh meat protein and natural fat. Outstanding antioxidant qualities.